Click here to request more info/special offers.. In addition to finding Mark N. Brown's artworks in galleries and homes throughout Hawaii, Mark also works out of his home art studio in Kalihi Valley. 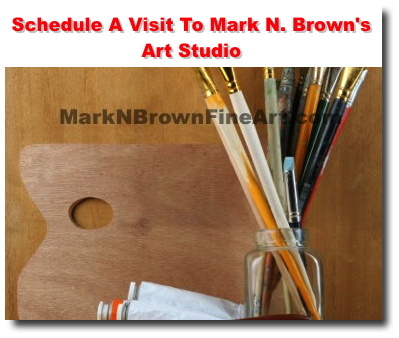 If you would like to schedule a appointment to visit Hawaii artist Mark N. Brown studio/art gallery, fill out the form linked here. You may also get a special discount/rebate voucher for any artwork you purchase during your visit!